Jackie's Opportunity Scholarship Donation - SRU Foundation, Inc. The Jackie Opportunity Scholarship was started in January of 2015 following the unexpected passing of Jackie Elliott who passed away before starting her second semester at SRU after complications with Lupus and Rheumatoid Arthritis. Jackie was only a freshman education major here at Slippery Rock and was very excited about the journey she was on. 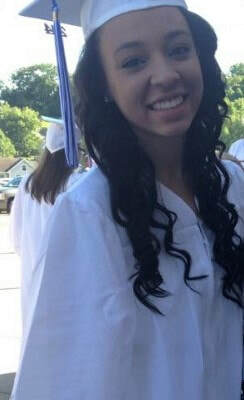 In order to cope with her untimely passing, many people thought the best way to honor Jackie was to create a scholarship in order to help another student, preferably attending SRU for education from Trinity High School, located in Washington, PA. (Jackie's high school) Jackie had received a full academic scholarship during her time here, but still struggled financially to pay for other necessities. Jackie was an extraordinary young woman who had faced diversity and more challenges than most, but was still hopeful and determined for a successful future. Due to this, the scholarship is need-based and the applicant is to write an essay explaining obstacles they have overcome. The Jackie T. Elliott Zumbathon is a three hour long zumba class accompanied with a table of donation baskets that are raffled off in order to raise money for the scholarship and hopefully make it an endowed scholarship some day. The Department of Education here on campus plays a large role in our efforts with a monetary donation by matching the amount of money we raise at the Zumbathon. The National Residence Hall Honorary on campus has also been kind enough to sponsor our efforts and help us run our event and gather donations.